After completing the red clay maquette (see left), the final piece was cast in bonded Pecan wood as well as an open edition in cold cast bronze and a limited edition in hot cast Bronze. These were both met with overwhelming approval when Randy Groves introduced them at his annual appearance at the Gettysburg History Meets the Arts festival in April 2006. 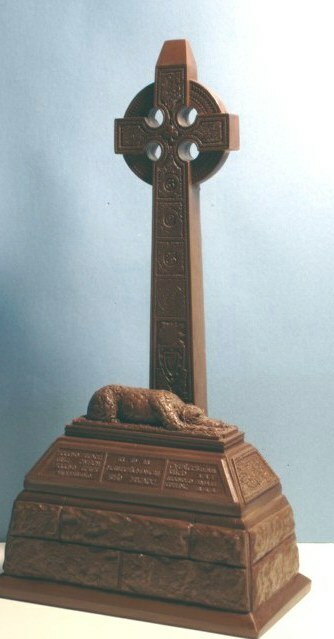 The artist, O'Donovan, created a bronze and granite base supporting an ornate Celtic cross with a life-sized Irish wolfhound lying at the base mourning its lost masters. 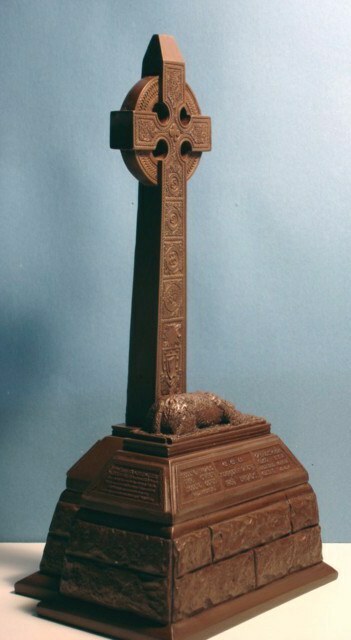 The cross bears the corps badge of the Second Corps, the trefoil, as well as four medallions denoting the numeric designations of the three regiments and the state seal of New York. 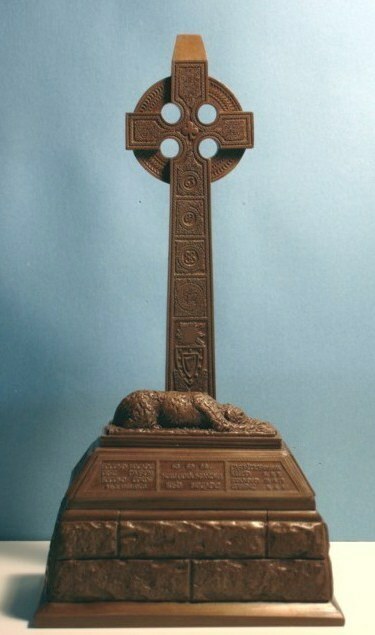 There is an additional bronze panel depicting numerous Irish symbols. 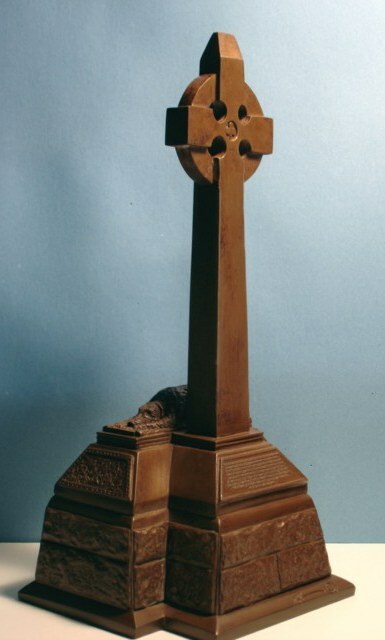 Bronze plaques on three sides of the base provide brief histories of the regiments.